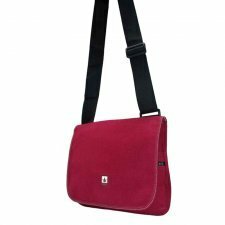 ECCO LA COLLEZIONE DI BORSE E CINTURE IN CANAPA, SCARPE E CAPPELLI IN COTONE BIOLOGICO, CANAPA E BAMBOO. 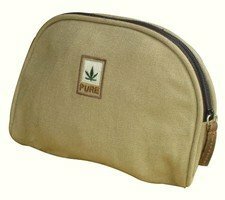 Backpack PureTex made of 55% hemp and 45% organic cotton "IMO certified", and TPE foil. Size: 34x34 cm. - depth 11 cm. Available colours/ bordeaux or camel. 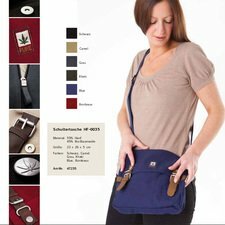 Small side bag hat can be worn over the shoulder, with adjustable & removable shoulder strap, or attached to a belt. Made of 55% hemp and 45% organic cotton. 1 main copartment with 1 small inner pocket, 1 pocket and both with a closing flap with magnetic button. 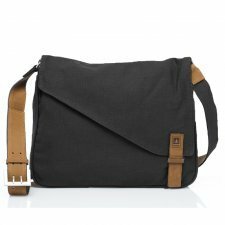 Shoulder bag made of 55% hemp and 45% organic cotton, with recycled leather trimmings. 2 inner pocket and pens slots. Magnetic button closure. Size: 26x23 cm. - depth 5 cm. 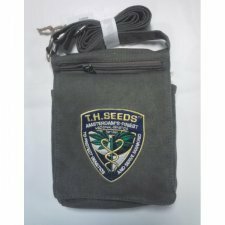 Cosmetic bag made of 55% hemp and 45% organic cotton, with recycled leather trimmings. Size: 17x23 cm. - depth 3 cm. 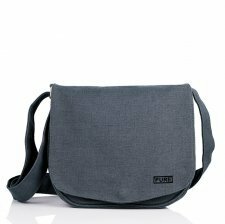 Shoulder bag PureTex made of 55% hemp and 45% organic cotton "IMO certified", and TPE foil. Size: 26x30 cm. - depth 4 cm. 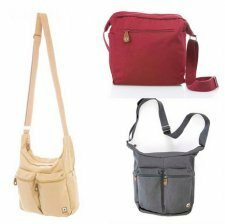 A beautiful bag for every day. Everyday things do not find their place there too big and not too small. The sewn-in outside pocket on the back, an inside pocket and a compartment for the smartphone ensure good organisation on the go. 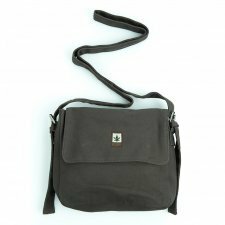 The shoulder strap is adjustable and can be easily adjusted. 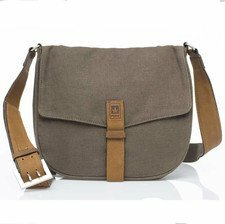 Shoulder bag made of 55% hemp and 45% organic cotton, metal inserts. With leather details tanned without polluting chemical products. Size: 22x40 cm. - depth 10 cm. 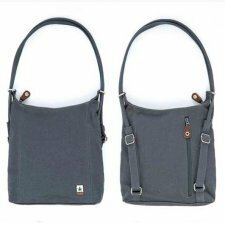 Shoulder bag made of 55% hemp and 45% organic cotton. Size: 22x19 cm. - depth 5 cm. 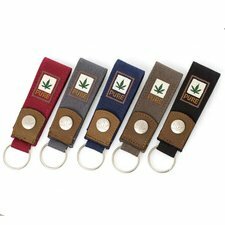 Key holder made of 55% hemp and 45% organic cotton, with recycled leather trimmings. Size: 29x36 cm. - depth 11 cm. Size: 24x35 cm. - depth 10 cm. 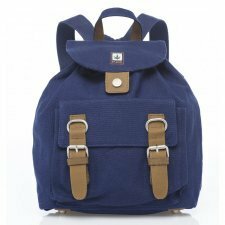 Our small backpack, ideal for hiking, biking and whenever you need to carry this and that on your tours. 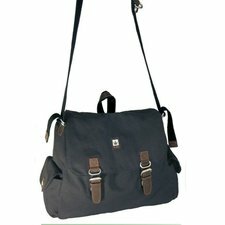 - It has one attached bag at the front with two key locks. - The upper clasp of the main compartment is provided with a magnetic lock. - A strap closes the underneath lying main pocket. - the bottom is strengthened by leather straps and metallic stoppers. 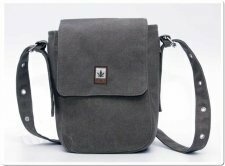 Shoulder/backpack bag made of 55% hemp and 45% organic cotton, with recycled leather trimmings. Main compartment with zipper closure, 1 small inside pocket with zip, 1 back vertical pocket with zip. 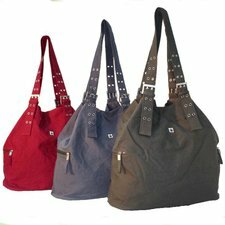 Colours: gray, black or khaki. Look stylish with these well-designed travel bags from Sativa. Made of 55% hemp and 45% organic cotton. Unisex wallet made of 55% hemp and 45% organic cotton. Size: 12x9 cm. - depth 2 cm. 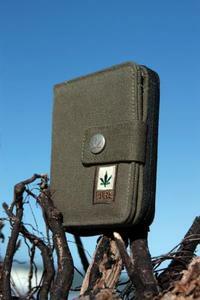 Hemp wallet in 55% hemp and 45% organic cotton. 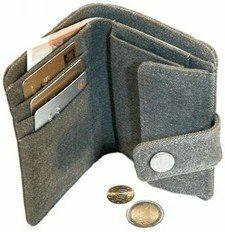 Comes with zippered coin pouch and heaps of spaces for all your cards. Size: 12x10 cm. - depth 2,5 cm. 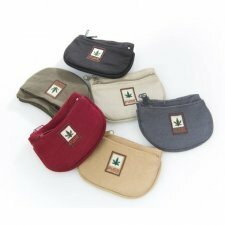 Money and key purse made of 55% hemp and 45% organic cotton. This roomy shopper bag carries all your essentials in style. Made of 55% hemp and 45% organic cotton, with recycled leather trimmings. 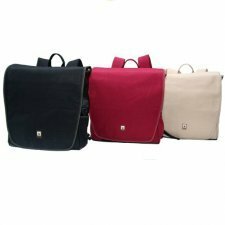 Available colours: camel, khaki or grey. The large main compartment can be reduced with side fabric tabs closed by a push button. Available colours: khaki or grey.